I started researching indigenous studies as an undergraduate. I did my senior thesis on Native American colonization. I developed some great friendships and gained excellent experience. I have written, given lectures, and invited talks on indigenous studies. I am acquainted with top scholars in the area. One of them, Steve Russell, wrote a very interesting book on the subject: Sequoyah Rising. When he was writing the book, he asked me to go over part of the manuscript. I did. 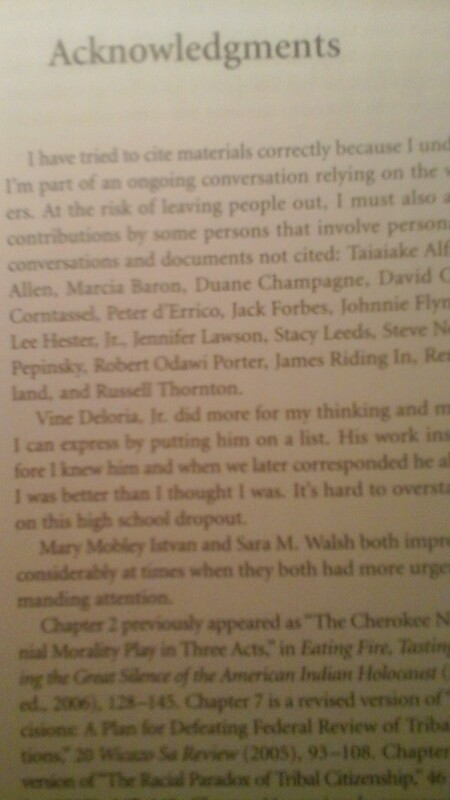 I also gave him some feedback, and was credited in the acknowledgements section.